Dublin, Ohio – Rea & Associates, a regional accounting and business consulting firm, announces that Mary Beth Koester, director of Rea’s Valuation and Transaction Advisory Services practice in the firm’s Dublin office, has earned the Certified Exit Planning Advisor (CEPA) designation after finishing the Exit Planning Institute’s four-day executive MBA-style program. Developed by nationally recognized experts in the exit planning field, the CEPA Program gives professionals valuable experience, resources and strategic tools to assist themselves and their clients throughout their careers. As the director of the firm’s valuation and transaction advisory services team. Koester oversees the completion of valuations for planning purposes, sales, gifting, estate, and partnership transitions. She focuses on the professional services and medical practice sector and offers insights on how business owners can grow their business’s value. Koester began her career with Rea & Associates in 2016. Since joining the firm, she has been instrumental on numerous valuation projects, transactions, and assisting with Rea’s brokering services. 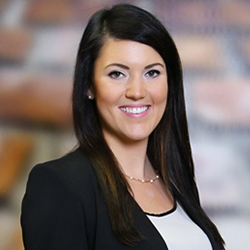 She earned the Certified Valuation Analyst designation in 2017 and, in June, Koester was presented the 40 Under Forty Award by the National Association of Certified Valuators and Analysts (NACVA). Koester earned her bachelor’s degree in accounting and international business with a minor in French from Cleveland State University. She resides in Columbus.